Autistic Able Teach RPM Lessons - Blue Nile | Denver SEO, local search, and digital marketing agency. 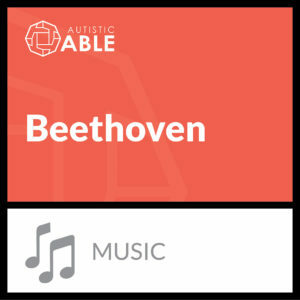 Autistic Able is a digital product learning startup that offers various lessons to mothers with the goal of helping them with lesson plans and techniques for teaching their and supporting their growth despite being constantly busy. Autistic Able was founded by Emma Eppard, a mother of an amazing 8-year-old autistic boy, Filbert. Emma holds a Bachelor’s of Science Degree in Early Childhood Education with an endorsement in Special Education. She has also completed Soma’s 4 day RPM training in April 2016 earning a certificate as an RPM practitioner. After years of reading, attending training, researching and having gone through many therapies, Emma acquired a lot of knowledge to effectively support Filber’s growth academically, physically, emotionally and socially. emma has also become a source of knowledge for other mothers in the autism community. Armed with this information and requirements, we set off to build an RPM learning platform for parents to help them teach their kids with confidence amidst their busy schedules. We elected to build a very customisable subscription and membership-based digital products e-commerce platform. This would allow parents to stay on top of things, track their lessons and deliver a well-rounded education to their kids. There are many pre-packaged E-commerce solutions available, however, we do believe that to get an edge in e-commerce and to actually grow, it is best to build and own your own custom solution which will afford you the flexibility to integrate your marketing automation. We fulfil the desired needs, we built a membership and subscription-based learning platform with specific nuances for RPM learning approach. Here’s where most e-commerce platforms fall short. There are so many aspects of e-commerce that may require more hires and skilled labour to execute. In lieu of this, we enjoy building email and marketing automation to effectively perform consistently in these areas and tasks. This automation allows you to communicate with customers just like you would and every step of the way. These allow you, in a timely manner, to connect with your new contacts or subscribers so as to make a powerful first impression. For example, you can share your all that you have t offer in this first email or by providing useful onboarding information. Let people know you’re thinking about them by creating an annual ‘Happy Birthday’ email. Or, simply extend a warm welcome to new contacts. Customers get busy, forget or get distracted. Recapture sales by reminding customers what they’ve left behind and encourage them to complete their purchase. Re-engage lapsed customers or inactive subscribers by creating a win-back email series or targeted ad campaign. Ask for feedback, send a quick survey, or provide customers with helpful information—like usage or care instructions—after they make a purchase. Suggest items your customers will love with product recommendations tailored to their purchase history. We ensured that all order notifications are beautifully designed and personalized to match your branding and recommend related products. Promote your business and grow your audience with Facebook and Instagram ad campaigns that help you reach people who are similar to your best customers. These give you the power to recapture the attention of people who leave your website—wherever they go online—and bring them back when they’re ready to buy. Performance Tracking: Detailed reports compile all of the engagement and revenue data for you, so you’ll always know how your order notifications are performing and how much money they’ve generated for your business. A robust fully and tuned e-commerce platform where all the technology is owned by you.